If you’ve been thinking about starting an online business, you’re certainly not alone. From opening an ecommerce store to writing and selling e-books in your area of expertise, you may find a wide audience out there who is interested in what you have to share. But why do some businesses take off while others fail? For a business to succeed in an online environment, there are a few issues you must address that wouldn’t exist in a more traditional setting. Enabling efficient online payment is one of the major hurdles for would-be entrepreneurs. Both security issues and complicated checkout systems can keep customers from finalizing a sale. Before using an online payment gateway, consumers want to be sure that their credit card information will be protected. When buying from a new vendor for the first time, security concerns may make them more hesitant to complete the transaction. Another issue that online shops will have to contend with is the checkout process itself. If too many registration details are required, the wait for verification takes too long, or the instructions are confusing, consumers are more likely to shut the sale down. Buyer’s remorse can shoot an online store in the foot far more easily than it would in a brick and mortar operation. There are numerous software and apps to choose from that will link your website with payment gateways. It’s important to look carefully at their features and usability before choosing the best solution for your online store. Two of the major payment gateways that most consumers are familiar with include PayPal and Google Checkout. You want to ensure that your shopping cart software or app is capable of integrating with these systems, and that you can accept all major credit cards. 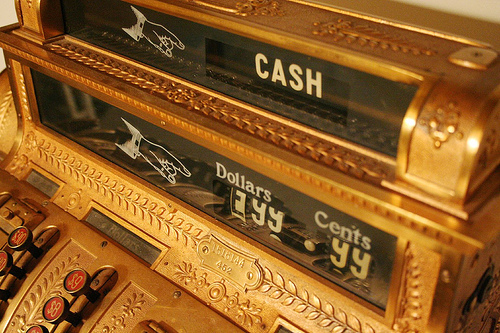 Giving your customers more payment options will make their experience more convenient. If you ship internationally, you’ll need shopping cart software that can customize the checkout page according to the customer’s country of purchase, in terms of language, currency conversions, and tax rates. Because more consumers are now making purchases using their mobile phones or tablets, it’s best to optimize your checkout page for these formats. Security is also extremely important. Look for a shopping cart system that includes an SSL certificate with 128 bit encryption, which is the level used by most major banks. This will keep consumer information secure during the transaction. Another type of payment processing software that can be of use to online business owners is POS software. This allows you to take your products out on the road to markets, craft fairs, trade shows, or pop up shops. You can sell your products in a physical location while still retaining access to your website’s inventory and statistics. Merchants can accept cash or credit cards, scan barcodes, and print receipts for customers while still maintaining a link to the main ecommerce shop. By taking security and convenience into account when you are devising your online checkout system, you’ll be better poised to complete sales and boost your income effectively. Today’s best shopping cart software has all the built-in tools that business owners need to enable smooth transactions.